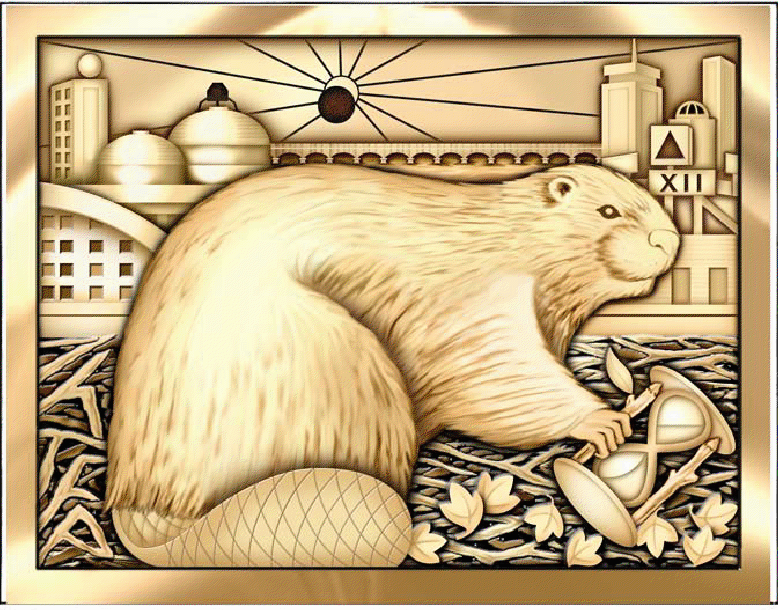 Our strikingly handsome beaver sits on a dam of its own making, holding an hourglass in the shape of a lemniscate, representing the timeless knowledge and experience we gain at MIT. A leaf buds from the side, symbolizing the new energy minor and MIT’s leadership in energy and environmental efforts. IHTFP is hidden in the twigs, and eight ivy leaves are brushed away by the beaver’s tail following the trend of the stock market. The curve turns up at the end to show our optimistic view of the future. The beaver looks toward Boston, which embodies the wider world. In the foreground is Fenway Park, which will be celebrating its 100th year in 2012. On its scoreboard is “X11”, representative of both the Roman numeral twelve and the X11 software that was developed through the Athena Program at MIT. Cambridge is on the opposite shore. The windows of Kresge Auditorium are darkened to read twelve in Braille, a symbol of the diversity for which MIT always strives. On top of the Big Dome sits a model of the Apollo Lunar Lander, reminiscent of the hack from our freshman year and a nod to the 40th anniversary of the Apollo Missions. Above the beaver and the Harvard Bridge is an eclipse, similar to the one that will appear during our graduating year, and a reminder of the ancient predictions that will perhaps make our graduation year a particularly memorable one. 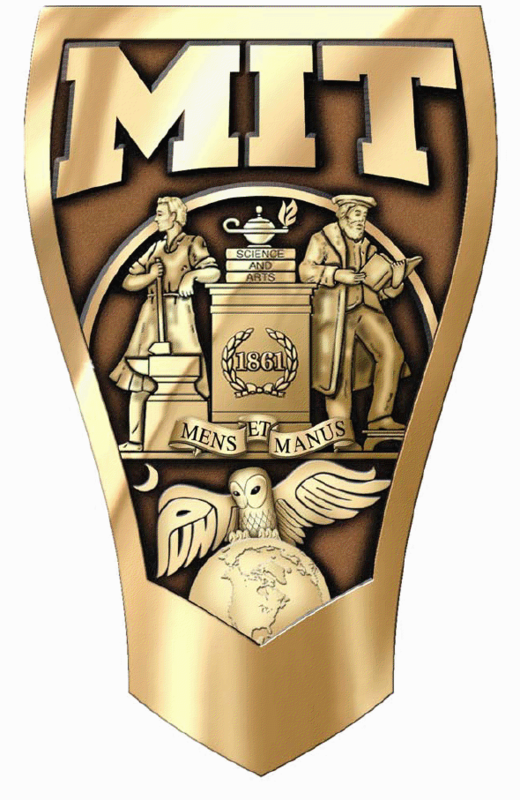 This shank carries the traditional seal of MIT, showing how we bridge the gap between theory and practice with our motto: Mens et Manus – Mind and Hand. Below, Athena’s owl watches over the Earth in a reflection of MIT’s global reach. 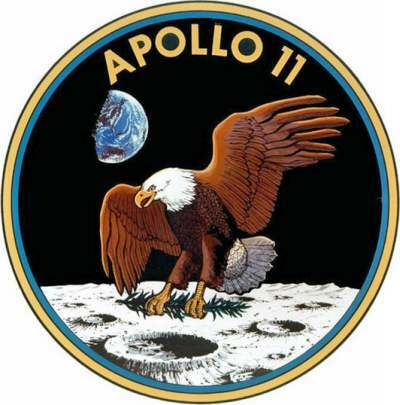 Its stance resembles the Apollo 11 Mission badge. The wing feathers spell “punt” and “tool,” two behaviors that get us through the weeks at MIT. The globe represents MIT’s international diversity and its partnership with institutions around the world, while the moon suggests the nocturnal nature of MIT students. As per tradition, Killian Court dominates the Class Shank. The five steps leading up to the doors of Lobby 10 represent the five schools of the Institute. Athena, goddess of wisdom and industry, stands in the foreground, her stance in Killian Court reminiscent of the hack during our freshman year. 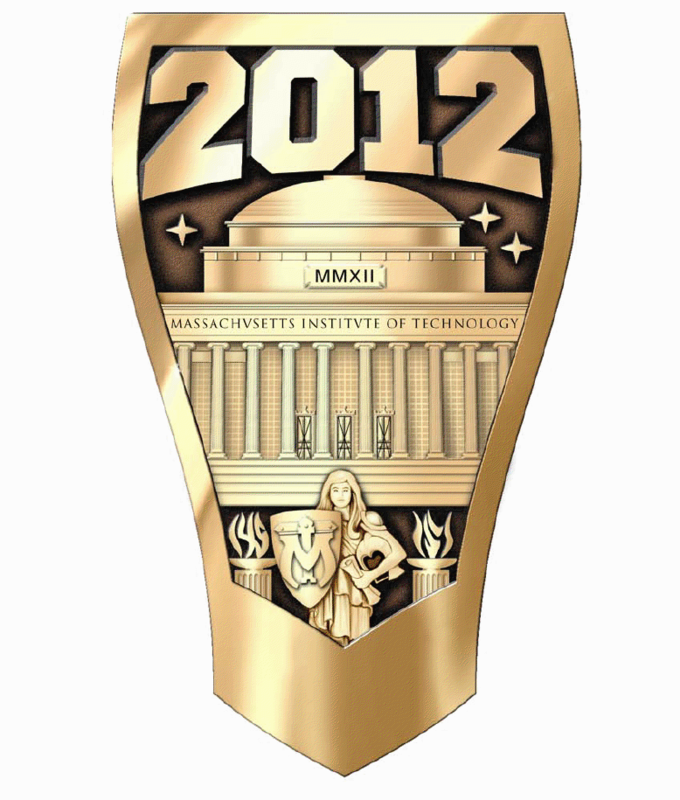 She holds a diploma and the shield of MIT in her arms, which will protect and serve her in her endeavors. In the flames around Athena are the numbers 145 and 151-- our class year and the age of the Institute. The numbers are made up of eight flames that honor the eight varsity sports lost at the end of our freshman year. 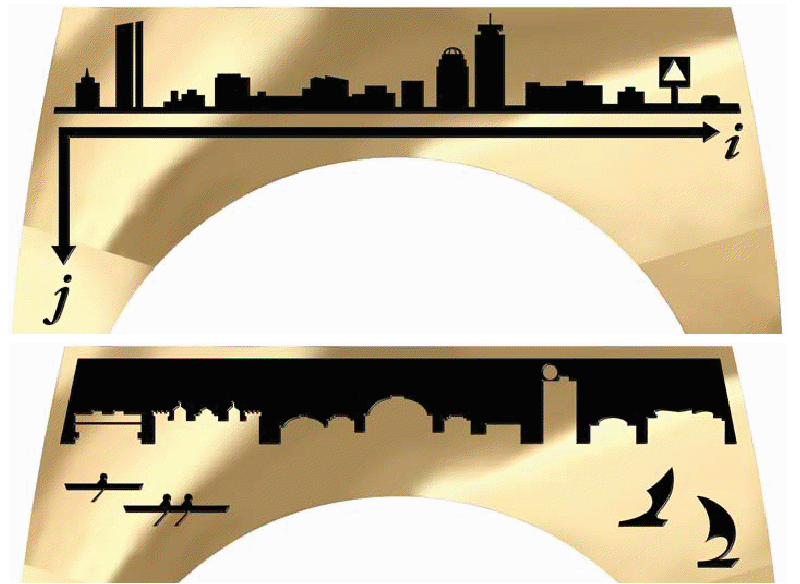 The prominent Boston skyline is displayed during the day. The view of Boston, including the Hancock Tower, Prudential Center, and Citgo Sign, is underlined by two axes of the right hand rule: your finger points along the k vector. Cambridge is shown at night, the time of day that we normally see the Institute. Many of the prominent buildings on campus are silhouetted: the Student Center, home of many student activities and late night snacks, Ashdown House, the MacLaurin Buildings, the Green Building, Walker Memorial and the New Media Lab, which will be unveiled this year. The rowers and oars of the two crew shells form a 12, as do the two sails of the sail boats on the Charles River. 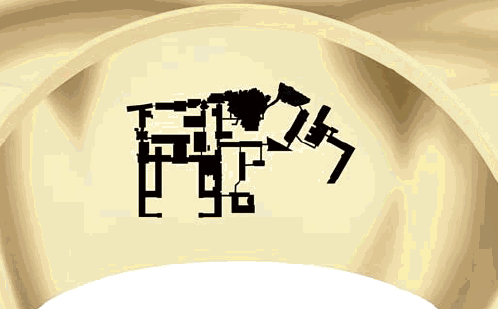 The Hacker’s Map remains a part of the Brass Rat. We hope it proves useful in all your endeavors—or when you’re just a little lost.